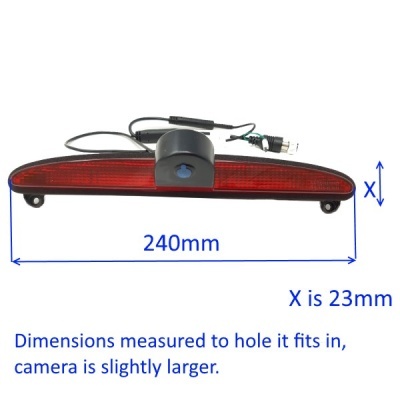 This brake light camera fits the Iveco Daily from 2011 to 2014. It uses a 700 TVL CMOS sensor giving a 170 degree camera angle. 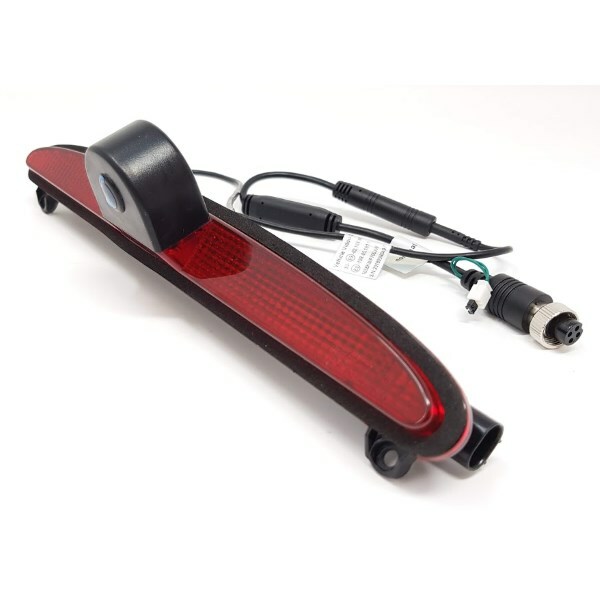 Although described as fitting from 2011 to 2014 it does fit the same size hole later models use for their high level brake lights. Even the holes for the screws to attach it line up. Why it is not advertised as being suitable for 2014 onwards we are unsure, but it is likely to be something to do with the connector for the brake light LEDs. This camera uses our standard 4 pin aviation style connector.